The June 12 summit in Singapore between President Trump and North Korea leader Kim Jong-un marks the first time heads of state of both countries meet for talks. At stake is national security for both sides, regional stability in east Asia and economic relations with China, the United States and its Pacific Rim allies. USC experts say the two leaders will enter uncharted waters. “We studied the nuclear test that occurred Sept. 3 in North Korea using space data and found the whole mountain edifice, Punggye-ri, collapsed and is likely non-usable for further tests. 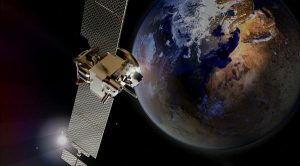 It demonstrates how space data can complement a global seismic network for monitoring clandestine nuclear tests and it provides information about the test site relevant for North and South Korea peace talks,” Barbot said. New satellite technologies provide detailed surveillance to verify arms accords. Damage to the North Korea test site is widespread, requiring years to restore if North Korea seeks to resume testing at the same location. The blast was the last straw for the test-site mountain. At about 191 kilotons, it was the biggest detonation yet and 10 times larger than the bomb dropped on Nagasaki in World War II, causing large deformation seen from space. Barbot is an expert in integrating seismological and satellite technologies to gain a complete picture of earthquake activity. He is a USC professor and conducted the North Korea research as faculty at Nanyang Technological University’s Earth Observatory of Singapore. “We’ve consistently underestimated North Korea’s military, nuclear and cyberattack capabilities. 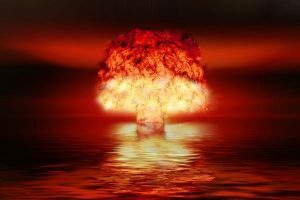 Our Cold War fears have come back with a vengeance to haunt us since North Korea detonated an H-bomb and tested long-range missiles. The threat is far worse than most people realize,” Kosko said. North Korea threats exceed nuclear weapons and include integrated air defenses, chemical weapons, massed artillery, long-range missiles, satellites, sabotage and cyber threats to U.S. infrastructure. North Korea gains military power every year, increasing their leverage in talks. Crossing the thermonuclear threshold takes their power to a new level. U.S. military options are so poor, North Korea responses so uncertain, war casualties would be so high, that negotiations are the only viable solution. Kosko is an expert in smart weapons, machine learning and statistical reasoning. His experience includes work as an analyst on the Tomahawk cruise missile and the Star Wars Defense Program in the 1980s, as well as consulting support to NASA and the RAND Corporation. “This summit worries China’s leaders. They don’t like being on the sideline for anything close to them, and nothing is closer to them than North Korea,” Dube said. 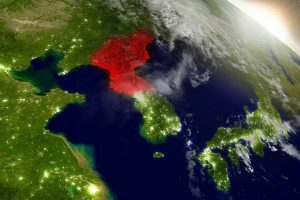 North Korea depends on China for more than 85 percent of its trade. China’s lax enforcement of U.N. sanctions benefits Chinese businesses dependent on North Korea trade. China also fears economic pressure may result in migrants into China. Kim Jong-un sees nuclear weapons essential to deter U.S. attack and ensure his regime’s survival. Dube is an expert in Sino-American relations, Chinese culture and history and how the United States and China interpret each other. The USC U.S.-China Institute helps lead in the age of the Pacific through policy research, graduate and undergraduate courses and professional development programs for educators, journalists and officials. It also produces events, documentary films and magazines. “Donald Trump is not like normal presidents. He’s a maverick and will do what he wants. He is not constrained by Republican Party ideology, so this may work to his advantage. Kim Jong-un is a lot like Trump because he’s bold and engaging in personal diplomacy. But we’re in unchartered territory when it come to complete denuclearization. American exceptionalism – the assumption we can demand what we want and it will be done – will be put to the test,” Fields said. Managing expectations will be key. If the United States demands denuclearization without big concessions, not much will happen. North Korea has leverage in negotiations because, unlike Iran, it already has nuclear weapons. North Korea’s security will need to be addressed to make progress. President Trump will likely be chastened by the complexity of a deal to denuclearize North Korea. Fields is an expert in international security, diplomacy and nuclear counterproliferation. 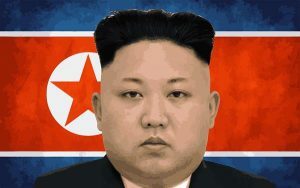 He is an expert in negotiations with so-called rogue states such as North Korea and Iran. He’s a former analyst for the U.S. Department of Defense. He is director of the USC Dornsife Washington, D.C., program.